Education training program is a part of the continue program which Asia Association of Medical Laboratory Scientists (AAMLS) authorized Korean Association of Medical Technologists (KAMT) to be the member association of this training course. 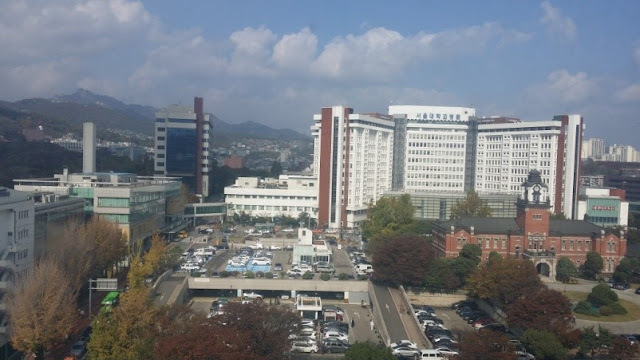 The purpose of this laboratory education training program is to strengthen laboratory competence in a resource limited country by inviting a selected member to Korea for clinical laboratory education training. 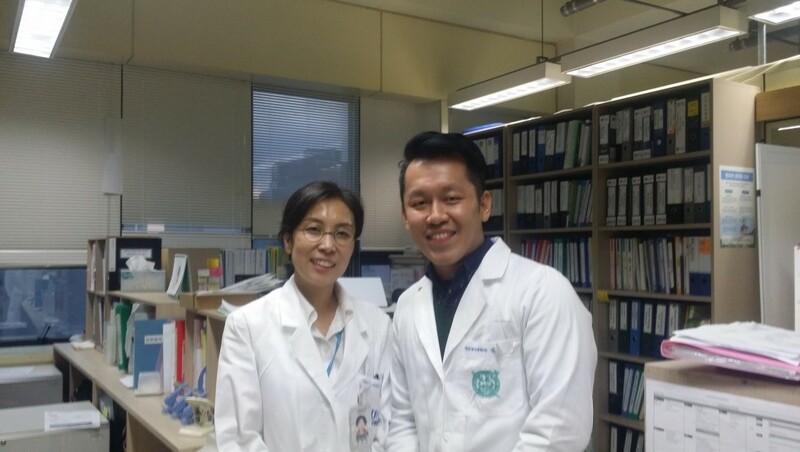 This training was fully supported by KAMT for 4 candidates from three countries: Mr. Yun Ted Siaw from Malaysia, Ms. Anna Karenina Del Rosario from the Philippines, Ms. Ting-Mei Liu from Taiwan and Ms. Ya-Ching Huang from Taiwan. The selections of participants will be reviewed and evaluation by the Education and Laboratory Twining Committee and President of AAMLS respectively. All the selected participants are registered professional with their respective national level association which also part of the criteria of application for this program. The trainings were offered to each of the participant based on the disciplines that have been applied. The disciplines that available in this educational training range from Clinical Chemistry, Hematology, Histology, Immunology, Laboratory Accreditation, Laboratory Management, Microbiology, Molecular Biology, Transfusion Science and etc. They have been providing us such quality training from qualified educators with more than 10 years experiences in particular fields. The following are brief report regarding training at selected training departments and the quality department for 5 days of intensive training. 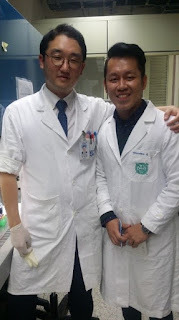 I hope this report can be shared to other professionals to optimize their views in molecular diagnostic and also hope that the reader of this report will think we have achieved some success of affiliation at the Asian level. 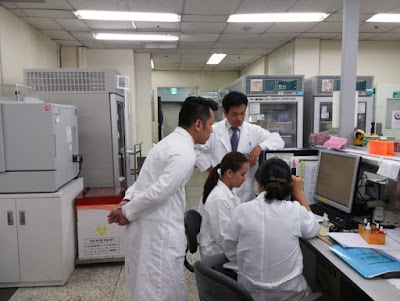 The Department of Laboratory Medicine performs and interprets various laboratory tests for disease diagnosis, prognosis assumption, and treatment evaluation based on the laboratory analysis of biomolecular and cellular compartments from samples derived from patients. 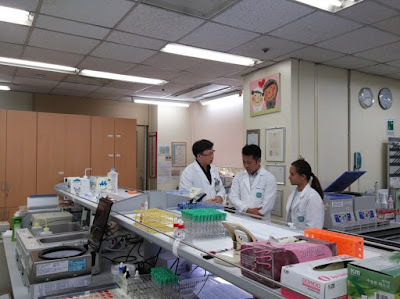 Our department is divided into individual laboratories for diagnostic hematology, clinical chemistry, clinical microbiology, transfusion medicine, diagnostic immunology, cytogenetics, and molecular diagnostics & genetics. 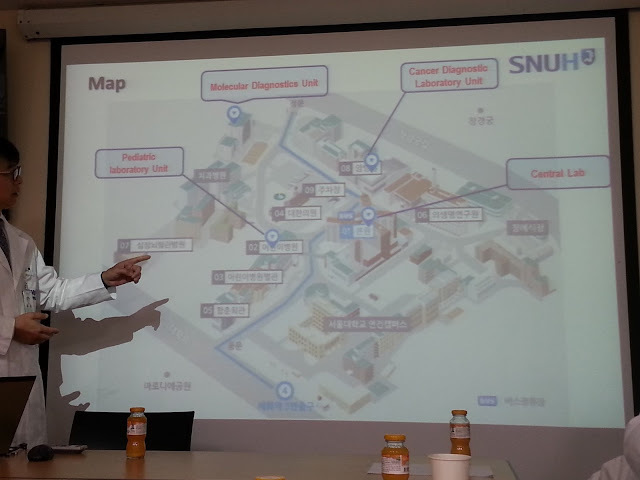 By using total laboratory automation (TLA), sample transport via automated guided vehicles (AGVs), 24-hour rapid testing systems, and thorough administration of quality control activities, accurate and precise test results are provided promptly to the medical staff (https://www.snuh.org/english/). Education trainings were covered with general lab department, molecular diagnostic department and blood bank department. One day of intensive training at general laboratory at the main hospital, cancer hospital, molecular diagnostic of diagnostic and research sections building and other research centers such as vaccine, animal and bio-molecular research. Monday began with four of discussing the timetable of activities for the week with head of training and meeting with director of hospital. 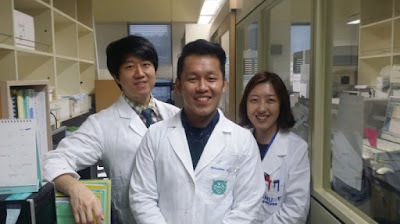 Following that meeting, we were introduced to some educator’s colleagues and shown round the laboratory. During the laboratory tour, we were shown the different rooms, and also the equipment we were to use for the various analyses. 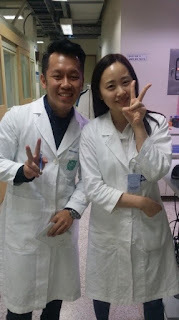 We also briefly train and educate regarding their lab safety and quality management in each of the laboratory setting. Four days of education trainings were at medical molecular department. *Training materials (such as protocol and reading materials are provided)-Handout. Automation testing for the hepatitis B virus (HBV), human immunodeficiency virus (HIV) and Tuberculosis (TB) detections. 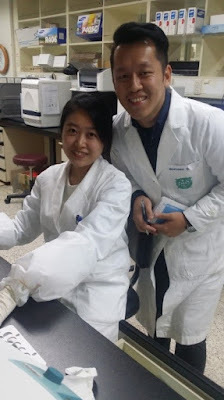 Genetic diseases detections are took for two days training. First day is for the preparation (genetic testing 1) before the detection process (genetic testing 2). Specific genetic diseases are detection by using DNA sequencing method. -Sequence analysis by using software (SeqScape). One day of intensive training at blood bank department after the DNA sequencing at molecular diagnostic laboratory. Blood bank training was covered from donation to issues out the blood to donor. Qualities of laboratory were briefly educating us from the management level to the services level. Each head of the units reports to the quality manager in the system and reviews in monthly basis. These lectures were continually from the 1st day to the last day of training sessions. 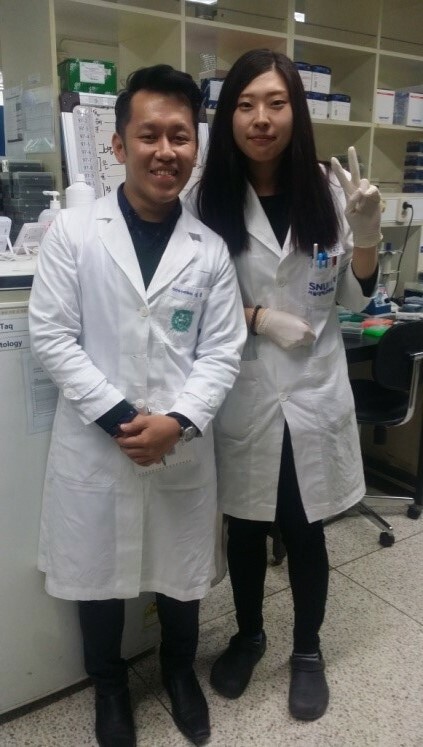 After these trainings, I have gained specific knowledge, skills and abilities for handling samples based on the diagnostics protocol. Besides, also gain the quality controls from this program which has been designed to supplement internal management practices which a laboratory should have in place to achieve the standard. Brilliant trainers/ educators explained clearly with constructive, gave relevant information. Kept day running smoothly and brought humor into a serious topic but allowed us to understand the contents and outcomes, highly recommended! 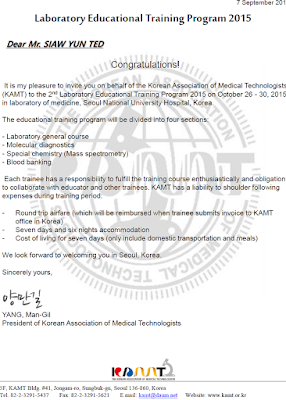 Asia Association of Medical Laboratory Scientists (AAMLS) authorized Korean Association of Medical Technologists (KAMT) to be the member association taking place for the laboratory training course. 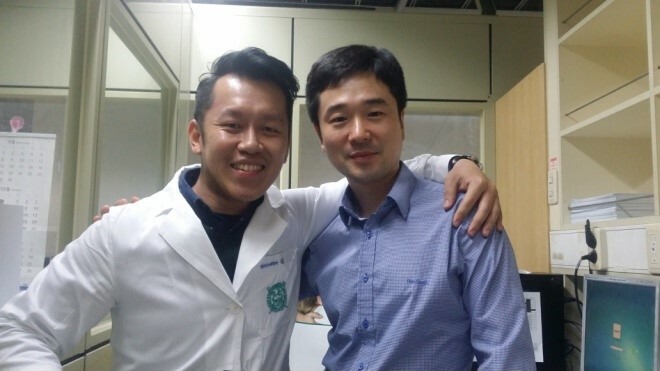 The purpose of this laboratory educational training program is to strengthen laboratory competence in a resource limited country by inviting a selected member to Korea for clinical laboratory educational training. 1. Theme: A short term education and learning program for medical laboratory scientists whose applications meet the criteria of AAMLS. 2. Final selection for participation: 2 members. 3. Application period: August 15th, 2015 to 28th 2015. 5. 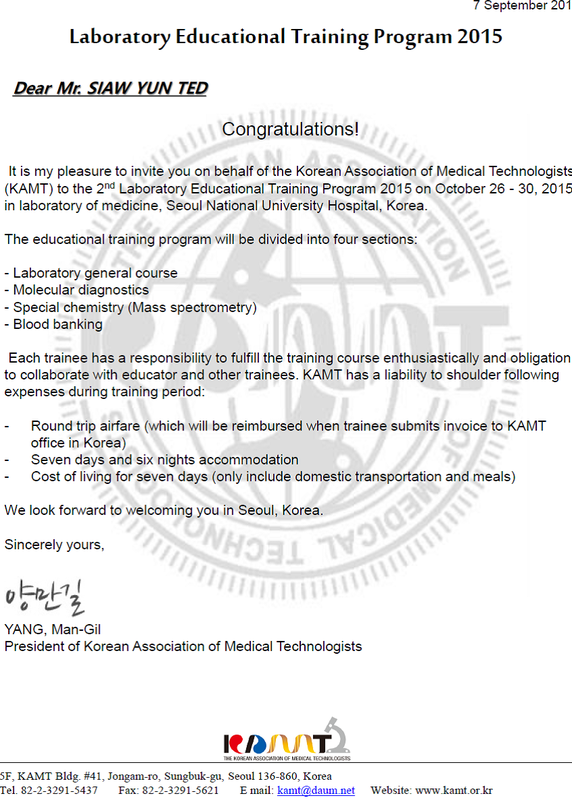 Laboratory education and training course duration: 5 days. 10. 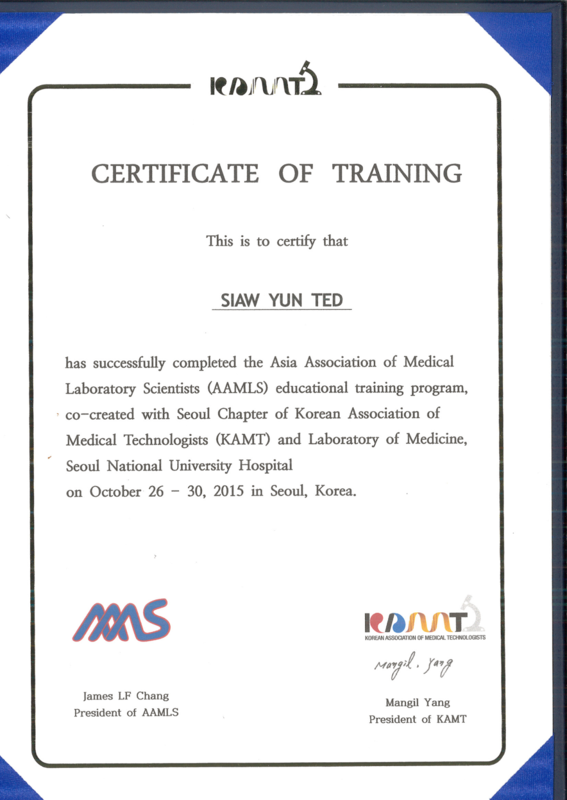 Certification: From the president of KAMT and president of AAMLS. 4. Photocopy of the diploma for Degree in Medical Laboratory Science or Related. 6. Photocopy of your passport (the page containing personal information and photograph). 7. Proof of travel insurance (if available). Application documents will be reviewed by the Education and Laboratory Twinning Committee of AAMLS, and then be further evaluated by the President of AAMLS. Upon approval, the selected applicants will receive a letter of acceptance, which will be required when obtaining the Korean visa. The application processing time will be around one week. 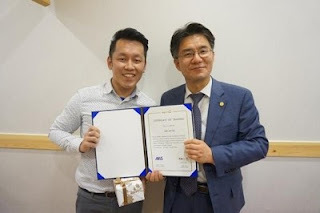 Mr. Noh, Gyeong Woon, Vice president of KAMT, presented the certificate of training. 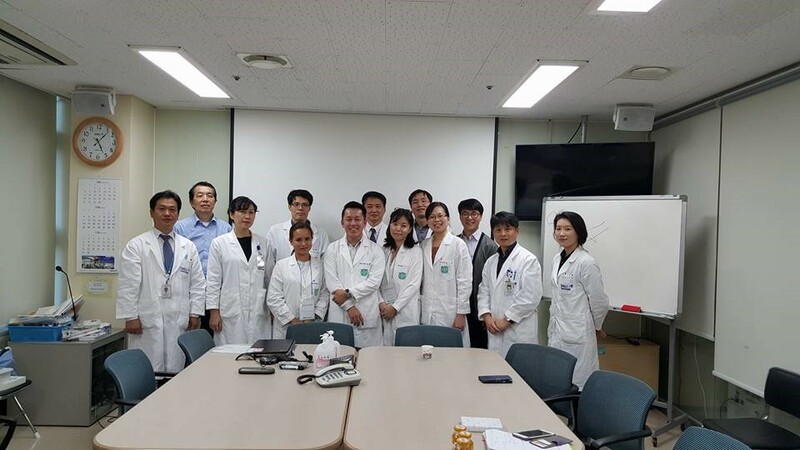 Meeting with Director of SNUH (1st at 2nd row), head of units and head of educators (with lab coat); Trainees: from Philippine, Malaysia and Taiwan (3rd – 6th at front).